Anna University Chennai, on 18th Feb 2014 Published the Tentative Exam schedule for the April/May 2014 Exam. The practical exam slot schedule is also published. 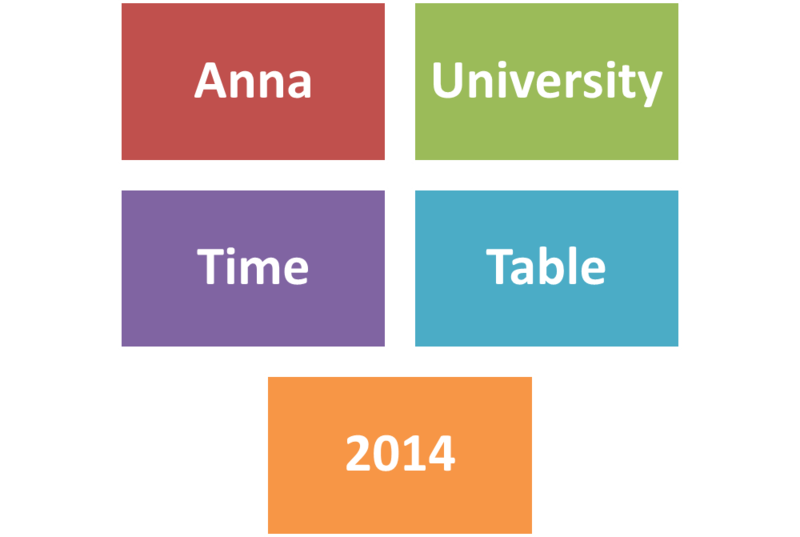 The more detailed Anna University April/May Time table 2014 will be updated in our blog. The date of commencement of theory examination for the first year students, second year students, third year students, 4th year students is also available in the tentative exam schedule.